This post is featured in Mommy Nearest Magazine. Download the FREE Mommy Nearest App to see more of my posts on Mommy Nearest magazine! 1. Some easy alternatives to thermal pants are fitted PJ pants, leggings & tights. They fit close to the body and are warm and comfy underneath pants or jeans. 2. Sometimes when we carry our children, the lower half of their legs can get exposed to the cold air. So to minimize exposure and to keep the 2nd layer in place…simply pull long songs over the thermal pants! 3. T-shirts can be used year round by easily layering long-sleeve tees underneath. 4. 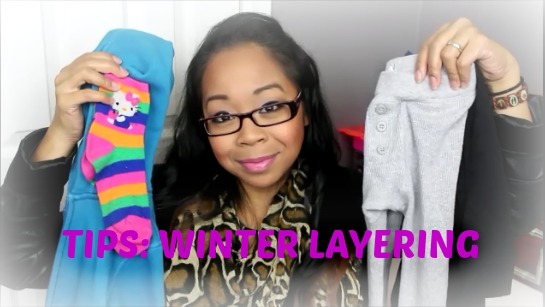 Quick layering pieces that the entire family has on hand are hoodies, cardigans, sweaters & sweatshirts. Watch my quick video below for more details!